From Seoul Express Bus Terminal, take a bus to Sokcho Express Bus Terminal. 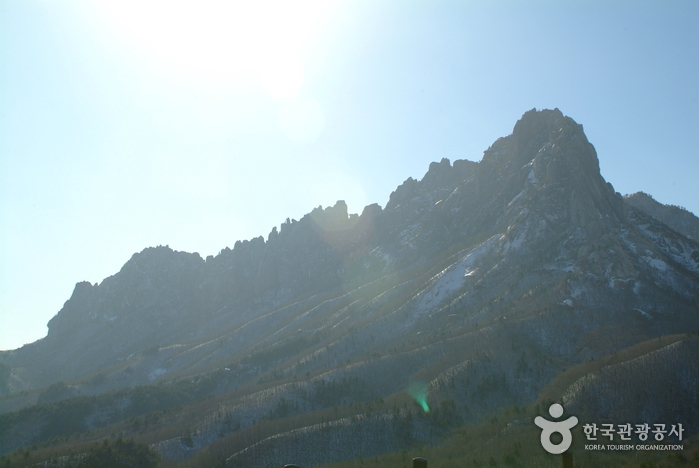 - From Sokcho city, take Bus No. 7 or 7-1. - Get off at Sogongwon Entrance Bus Stop (20-25 min ride). Ulsanbawi is composed of six granite peaks, each bearing a x_width of 4km. 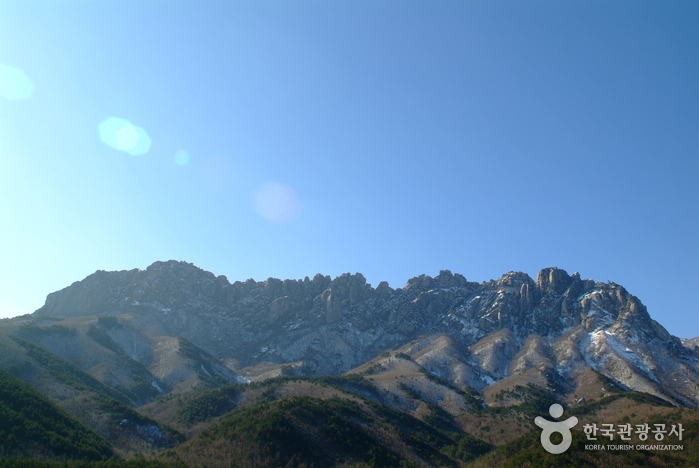 You can see the spectacular scenery of Seorak Mountain, the East Sea, Dalma Peak, and Haksapyeong Reservoir from the top. 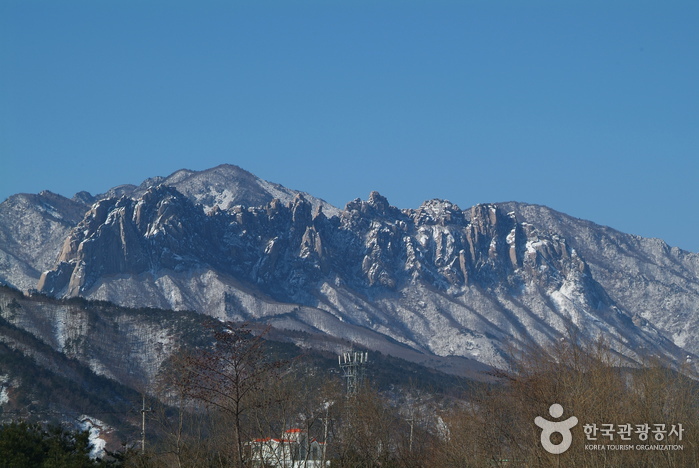 There are three varying theories as to what the name Ulsanbawi implies: that it looks like a fence, that its name was derived from Ulsan in Gyeongsangnam-do, and that the Korean term of “crying mountain” was translated into Chinese characters. 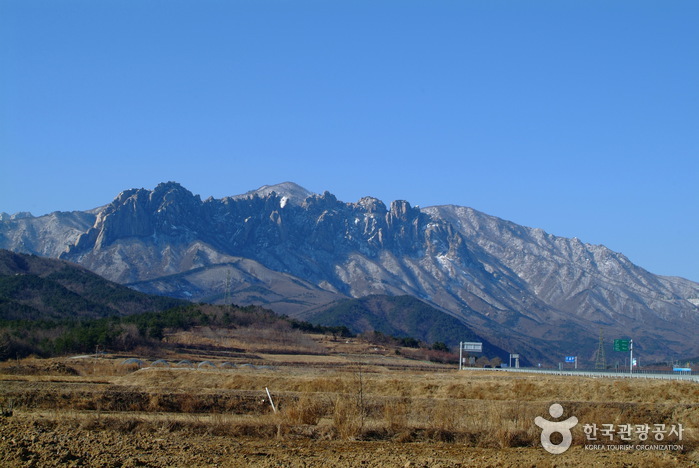 Because of the way the whole mountain reverberates the sound of thunder in rain, it is also referred to as Cheonhusan Mountain. 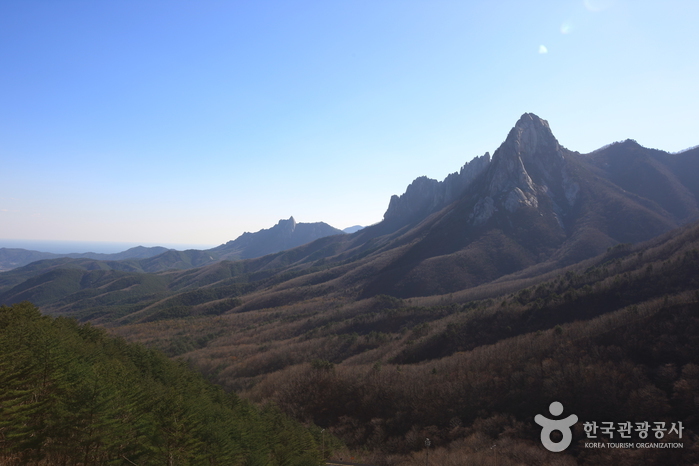 It roughly takes three to four hours to hike up from Sogongwon to the summit of Ulsanbawi Rock. * Subject to change depending on parks. Refer to the official website before visiting.